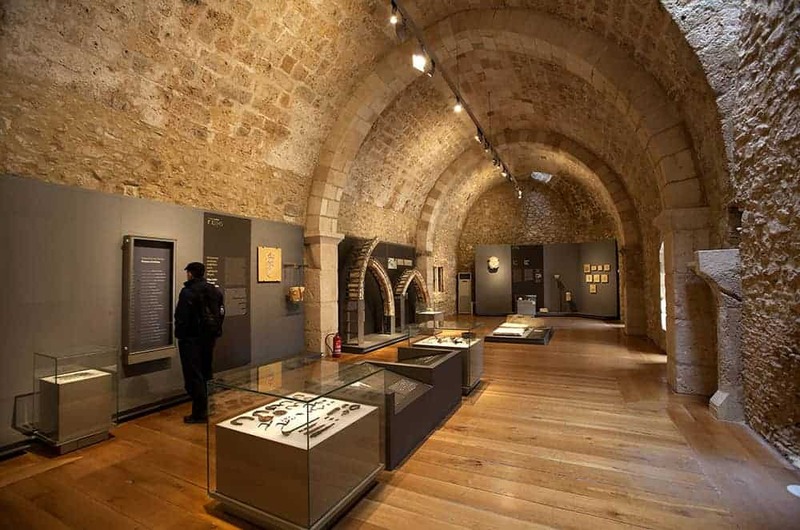 The Chlemoutsi castle is the most significant attraction in the wider area today and during the period of its peak, whoever owned it, could control the entire Peloponnese. 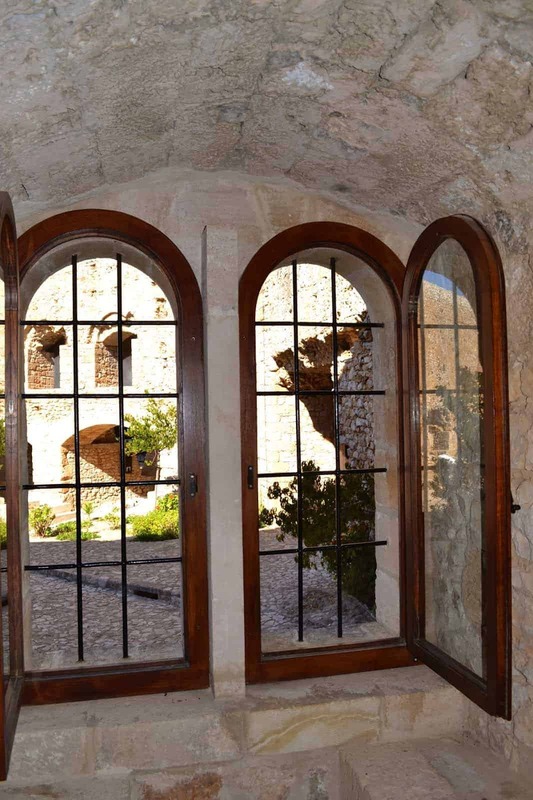 The castle is located in the center of the “Helonata” hill in the village of Kastro. The Fortress has a wide panoramic view, from the top of the walls, of Zakynthos, Cephalonia, Ithaca, Lefkada and the entire plain of Elis to the east. The Castle is 228 meters above sea level. After the fall of Constantinople (1204), the French crusaders started establishing Latin states, one of which was the Principality of Achaea in the western Peloponnese. The governor of this new Principality was Geoffrey Villehardouin. In the early years of his reign of the new principality, Villehardouin had a dispute with the Latin Clergy of Peloponnese. Geoffrey invoked their refusal to help him conquest the whole Peloponnese and thus confiscated Church property. With the money he gathered after three years of work he completed his new fortress called Clermont in 1224. The New fortress and its strategic location, offered the control of the safe transition into the country and ensured the general defense of the Principality. The Castle remained in the hands of the Franks until 1429, when Constantine Palaiologos (1449-1453) annexed the Principality of Achaea to the Byzantine Empire. This annexation happened peacefully, in the form of a dowry to Palaiologos after his marriage to Magdolina Tocco, the nephew of Carlo Tocco and ruler of the region. Then the Castle passed into the hands of the Venetians and the Turks. After the Revolution of 1821, it passed into the hands of the Greeks. The Chlemoutsi castle was the largest building carried out by the Franks in the Balkans. 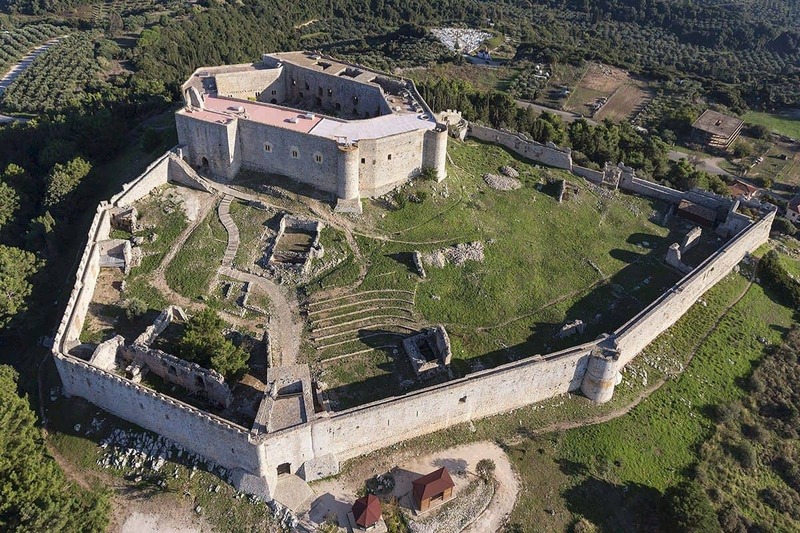 It is one of the few cases where the Franks, instead of modernizing and strengthening the existing fortifications with Byzantine or even older phases, prefer to build a new castle. No significant battles took place in Chlemoutsi despite its size and strategic location. During the years of its peak, it was impregnable and its structure prevented any siege. Its fortification model was under the influence of other fortresses such as the Chateau de Rouen and the Philippians architecture by Philip Augustus (King of France). Its architecture in addition to the towers etc., turned it into an offensive castle, thus preventing any potential attacker to even think to conquer it. 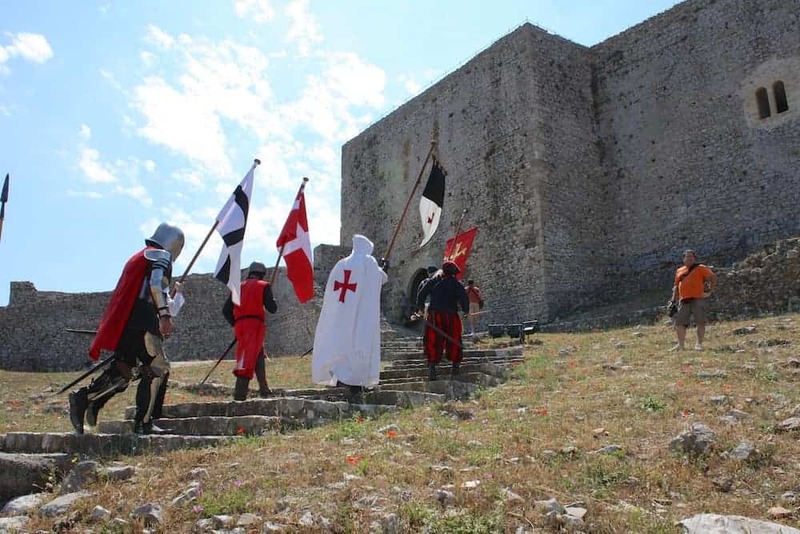 The castle ceased to be impregnable when its subsequent rulers did not have the appropriate military power to defend it, but also because of the changes in the battlefields with the discovery of new weapons and offensive strategies.